A charming 'Trinity' house in desirable Fitler Square location. 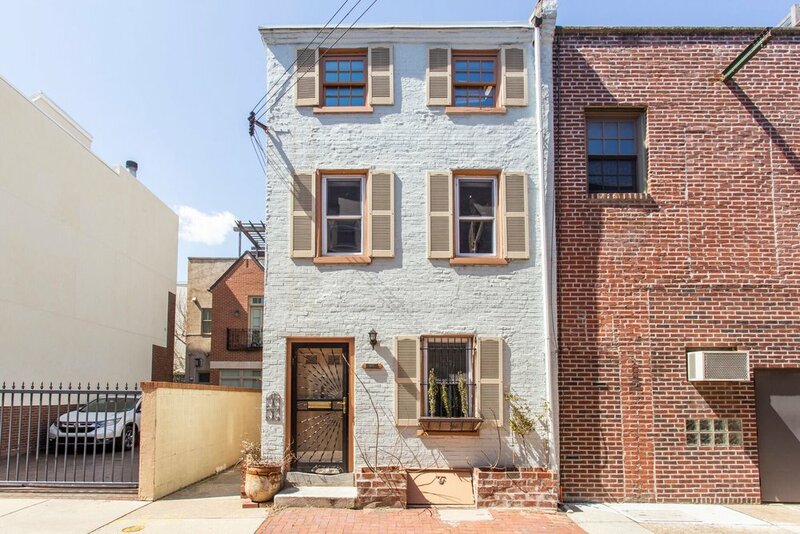 Located on a quiet cobblestone, blocks from Rittenhouse, Fitler Square, and University City. Main level has an updated kitchen with floating kitchen shelves, white subway tile, ample drawers for storage, stainless steel appliances, five-burner gas cooking range, open living area, exposed brick, and hardwood floors. Second level has bedroom with exposed beams and full, renovated bathroom with standing shower, subway tile, and new vanity. Top floor is a second bedroom with vaulted ceiling, additional closet space, and a half bathroom. Basement houses mechanicals, washer/dryer, and tons of storage. Shared private back courtyard area. Nearby Schuylkill River Banks Trail, Rittenhouse Square, a dog park, Fitler Square, and Rittenhouse farmer's market. Nearby restaurants include Res Ipsa, Rival Bros, Fitler Dining Room, Friday Saturday Sunday, Vernick, new 20th Street Pizza, Ultimo Coffee, and more. Meticulously cared for home with responsive management. Available May 1st, 2019. Generally, first month, last month, one month security deposit due at lease signing. Other terms may be required by property management. Pets are conditional on owner's approval and, if accepted, may require additional pet deposit or fee (generally $500/dog and $300/cat). Tenants are responsible for all utilities: water, gas, electricity, cable/internet.